Edinburg is a pro-business community with an excellent quality of life, educational facilities and strong civic pride. 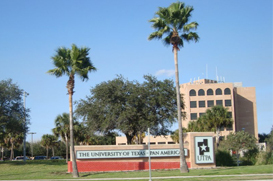 It is home of the University of Texas-Pan America , the state’s tenth largest public university. Centrally located along one of the largest trade corridors in the world, Edinburg is also the gateway to U.S. 281, which is being transformed into Interstate 69 or the NAFTA Highway. The city of Edinburg has been recognized as an All –America City three times by the National Civic League, placing it among a handful of outstanding communities in the nation. It will soon be home to a Major Medical Research facility under the University of Texas Systems. You can also enjoy Butterfly and Bird Walks at the Edinburg Scenic Wetlands.